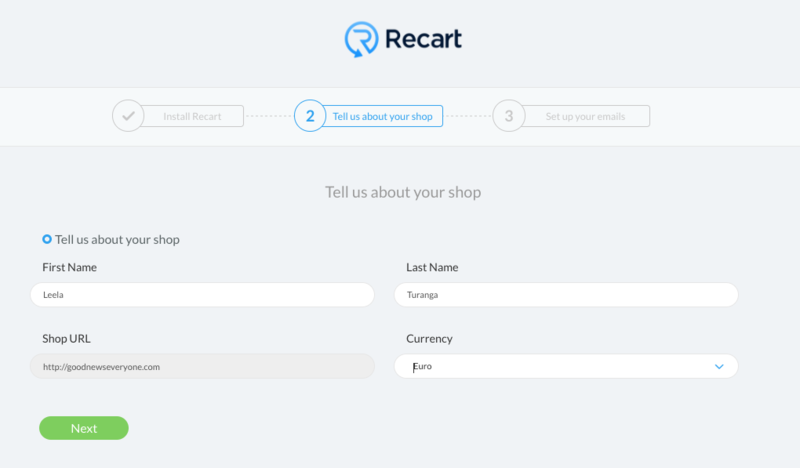 I’m thrilled to welcome you in the Recart family! 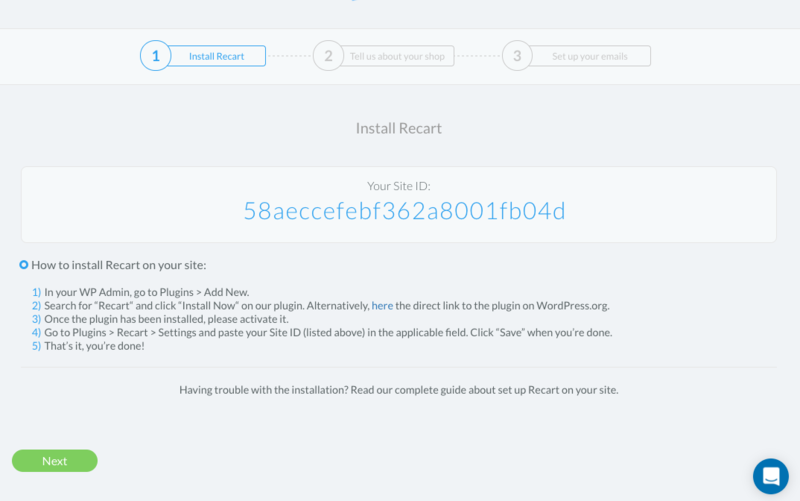 Let’s start with the very first step: Install Recart on your site. If you already have an account, please skip this step. Enter your data and you’ll be redirected to the next step immediately. 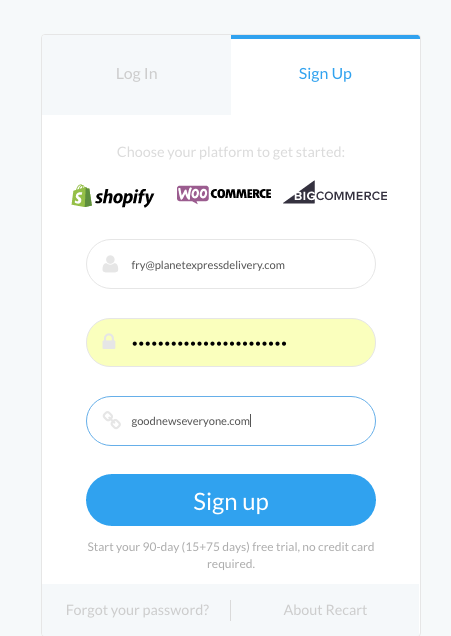 On the next page of setup wizard, you need to choose your platform. 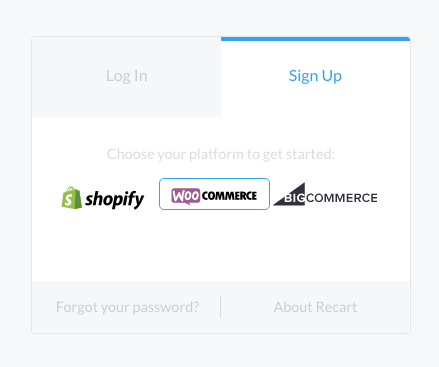 Choose WooCommerce, and follow the instructions. 4 simple steps, that’s it! After the plugin is uploaded and activated correctly, click Next. No dozens of fields to fill out – only the necessary stuff. Your name and your currency are all you need to enter on this page. You can edit your URL here if you need. 3 more fields and you’re done. We need your shop name, your customer service email (this is what will be the ‘reply to’ in your emails). You can choose your emails from 23 languages. Yes, that’s it! It didn't take more than a minute. After clicking ‘Activate Recart’ your emails will be activated. 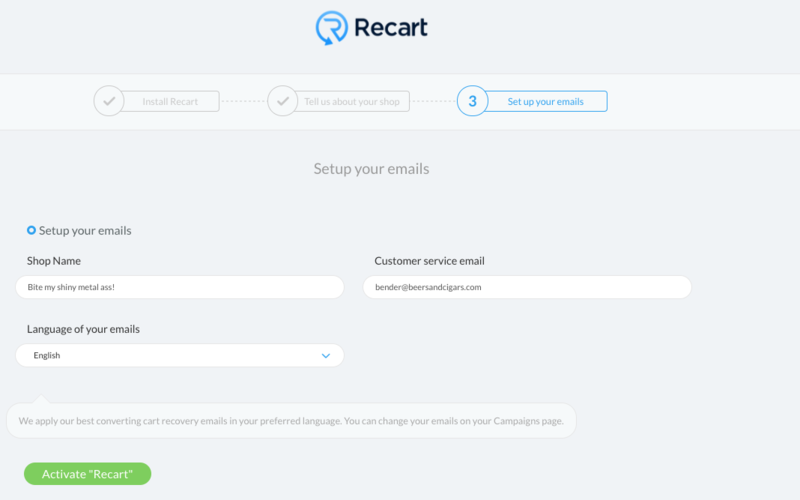 All your cart abandoners will be captured and the recovery emails will be sent automatically. You can check and edit your emails on your Campaigns page.